When it’s time to build that brand new home there are different options borrowers can explore and each have their own advantages. When building from the ground up, there are both hard and soft costs. A hard cost is paying for materials used to build the home as well as the labor it took. Soft costs are those related to permits and fees needed before construction can start. There are three methods to finance construction- a construction loan, permanent and construct-to-perm. A construction loan is a short term loan where the funds are used directly to build the property on a lot the borrowers own. Construction loans can also include the funds needed to buy the vacant lot as well. The borrowers will first contact an architect who will design the home. Once the design has been completed the final plans and specifications are delivered to a contractor. Ideally, more than one contractor will be allowed to bid on the project. The contractor will review the plans and provide a cost to construct and how long it will take to finish the project. With the construction bid and plans in hand, the borrowers then apply for a construction loan. The construction lender will review and approve the application as well as provide a disbursement schedule for the loan. A construction loan isn’t handed to the contractor in one lump sum but instead disbursed based upon a percentage of completion. Interest only accrues on funds when they are disbursed. For instance, the initial amount might be to acquire and prepare the lot. Once the lot has been prepared, the lender sends an inspector to make sure the work has been completed and once that determination has been made, the second disbursement is made. This process continues until the home is ultimately completed. At this final stage the lender sends the inspector out one more time to certify the home is ready for occupancy. As this certification is made, the construction lender wants its money back. This is accomplished by replacing the construction loan with a permanent mortgage. A permanent mortgage is simply a traditional mortgage such as a conforming loan, FHA or VA loan and takes the place of the construction loan. When construction lenders review an application one of the main requirements is to make sure the borrowers have a permanent loan already preapproved. In this fashion the borrowers will apply for two separate loans- one for construction and one to replace the construction loan when the home is completed. There is another type of loan that combines both the construction loan and a permanent loan into one. This is called a construct-to-perm. With this program, the borrowers only apply for one loan instead of two. The construction funds are disbursed in the same manner as with a single construction mortgage and at the end of construction the permanent funds are already in place. With a construct-to-perm loan, borrowers avoid two closings and the additional costs involved with a construction followed by a permanent loan. Construct-to-perm loans aren’t as widely available as a permanent loan nor are construction loans. 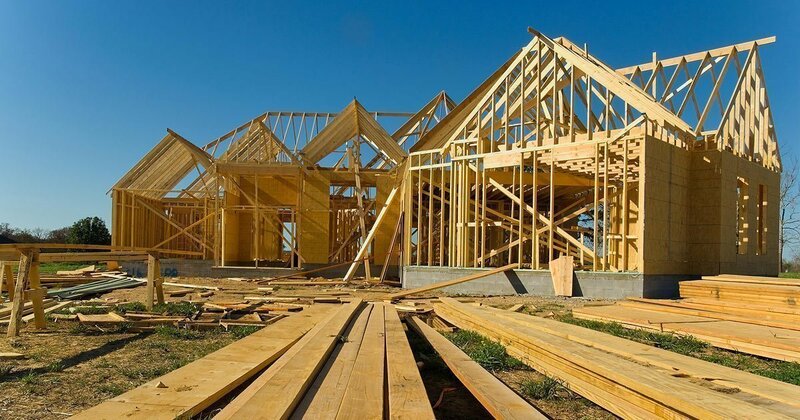 Construction loans require a fund manager that monitors the progress of construction and makes sure the home is being completed on time and per plans and specifications. With a permanent mortgage there is no such monitoring. Once the permanent loan has been placed the lender’s involvement is over. Because not all mortgage companies have a fund manager to oversee multiple construction loans, there aren’t as many sources compared to a permanent mortgage. Virtually every mortgage company around offers permanent mortgages. So, which of the three is the ideal choice? This is something to speak with your loan officer about. You’ll be able to compare rates and fees for all three options and ultimately decide which program best fits your situation. Your loan officer can provide you with a written estimate for each choice.